Are you a passionate singer looking to get more experience performing onstage at a range of events, as well as mastering the good technique and variety of repertoire necessary to become a professional-level vocalist? The WAPS Advanced Singing Troupe may be for you! Students are required to attend weekly rehearsals at WAPS Subiaco. You will learn challenging repertoire from a range of genres and will work on technical exercises to develop your tone, breathing, aural skills, pitch and confidence. If you are considering applying for secondary or tertiary courses in voice, musical theatre, or music education, this troupe will help give you the boost you need, with targeted vocal training (excellent when coupled with private lessons), experience onstage in many different contexts, help with audition prep, and more. Throughout the year, develop a set list of pieces you’ll perform at a range of events and venues of various sizes before your final performance at the WAPS end of year concert! The WAPS Advanced Singing Troupe is open to intermediate and senior aged students. Singers should be committed, reliable and dedicated, and willing to participate in external performance opportunities. All vocal ranges are welcome. 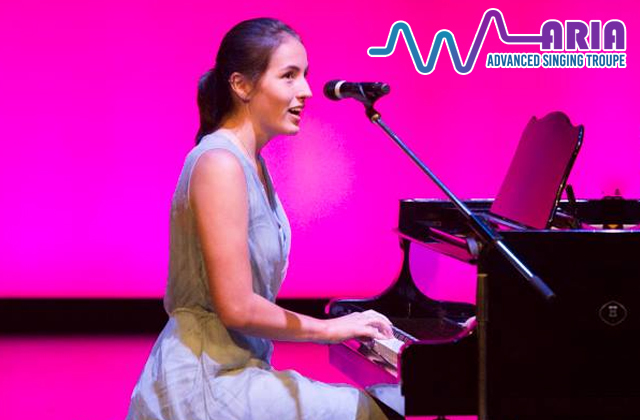 In order to join the WAPS Advanced Singing Troupe, members must be enrolled in WAPS private or group Singing & Music classes to ensure they maintain the theory knowledge and aural skills required to confidently perform Troupe repertoire. Entrance to the troupe is by audition or invitation only. Students must be committed to attending classes, rehearsals, and performances, as well as regular, structured practice at home. The Advanced Singing Troupe performs at a wide variety of events, both on television and live onstage. In the past our students have performed at public & community events (Fringe World Festival, Subiaco Craft Fair, Expresstival, Perth Royal Show), televised events (Foxtel’s The Couch, Telethon, etc), plus students may be given the opportunity to perform at private and corporate events as featured entertainers. The nature of these events requires performers to be punctual, rehearsed and professional representatives of WAPS. There may be extra transport and costume costs involved for students participating in external performances. I have nothing but positive comments! WAPS has an amazing vibe and classes were fun and I always left feeling happy and accomplished! I used to get very shy about the thought of attending dance classes but WAPS was such a judgement free zone it made me feel comfy and able to enjoy myself! She had a great time on Saturday night, it was great to see her back on stage, after 3 very long years of illness. Definitely made our end of year, very special ? I would just like to thank Miss Emily, for being such a gorgeous teacher to the girls!!! She is really excited about coming back in 2017. Just a quick note to say thank you & Beau so much for a wonderful party today. The kids had a ball & I had a very easy, stress free day. Highly recommend it to my friends. Thanks for putting on such a fantastic concert again this year. Merry Christmas to all WAPS teachers. You are an amazing bunch of people and my girls are so proud to be part of your dance school. Congratulations to all those involved in last nights performance. It was a amazing and to see that many talented people perform was wonderful. It was our first concert and Tayha was blown away and can’t wait until next year. Again, congratulations to all. The best thing I achieved as a dancer on this trip was multiple turns. And it made me realise dance is something I want to do for the rest of my life. An instructor who really inspired me was Heidi Jarrett because she is always happy and energetic, even when she makes a mistake she just smiles. One of my favourite masterclasses was African Dance because it was very different to something I would usually do. Maddy has thoroughly enjoyed dancing this year, especially her ballet! Your teaching and encouragement has really helped her learn and improve as a dancer. She is really looking forward to next year!